Happy Valentine's to all you lovelies out there! I hope you enjoy this year's mini featurette and stories!! Valentine's is a great day to celebrate with your significant other and remember the bonds between the best of friends. Without further ado, here are the cosplayers for this year and their stories! Chii from Chobits wishes you the best Valentine's Day! 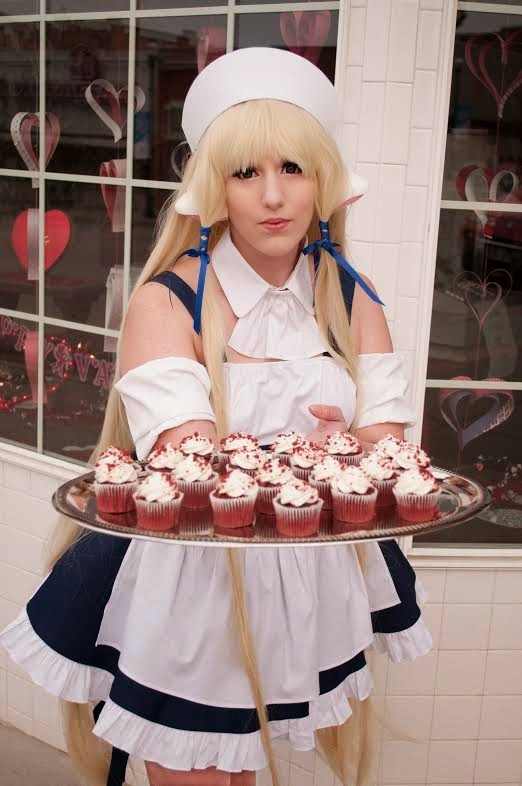 "Bakery Chii from Chobits offering my favorite cupcakes, red velvet." Chii here is cosplayed by the ever talented Sutie of Silver Fyre Studio. Her favorite part about Valentine's Day is the sweets and doing these fun Valentine's photo shoots every year. Varrick and Zhu Li - Do the Thing!! I had to refrain from squeeing loudly while at work when I saw this entry. 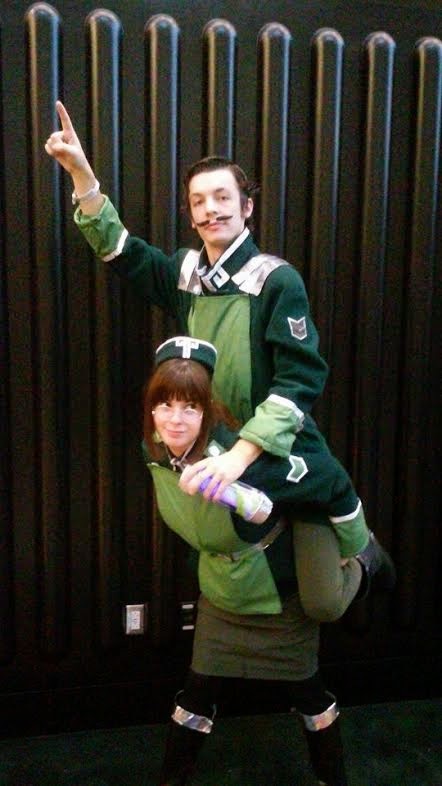 We have Andrew as the industrious Varrick and his assistant Zhu Li, cosplayed by Ana. 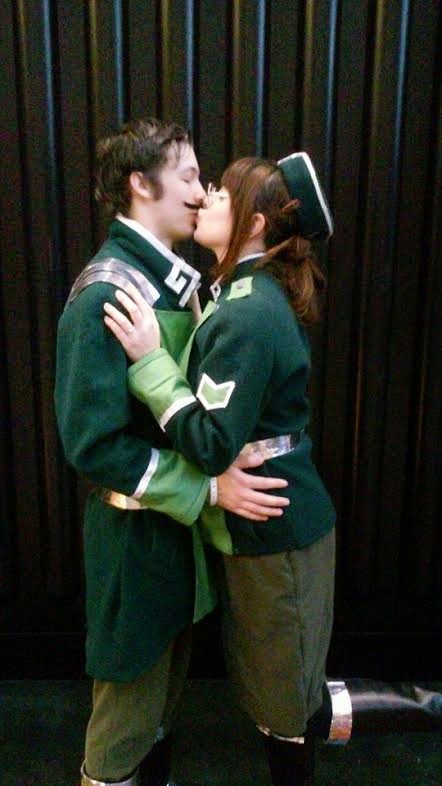 These two met and fell in love not only with each other's cosplays but with one another. Such a cute couple!! Andrew tells us about how they met and their costumes below. 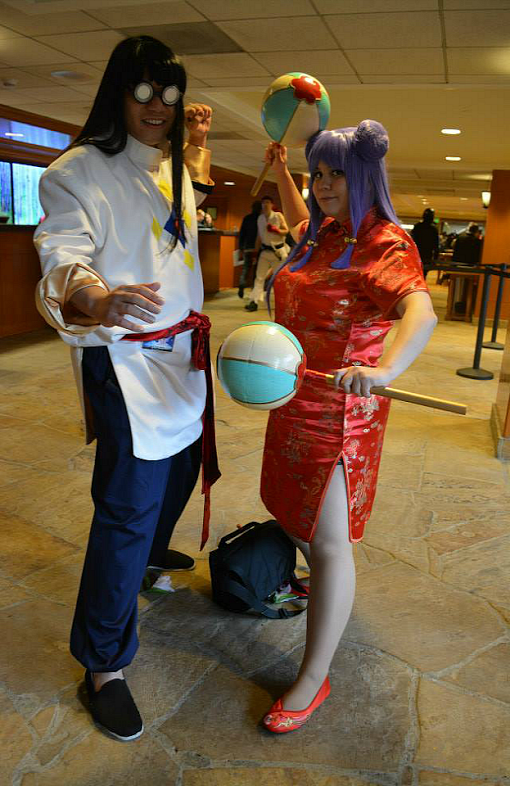 I may not know Ranma 1/2 very well but these two look so adorable! Pastel Cosplay is Shampoo and John is Mousse. 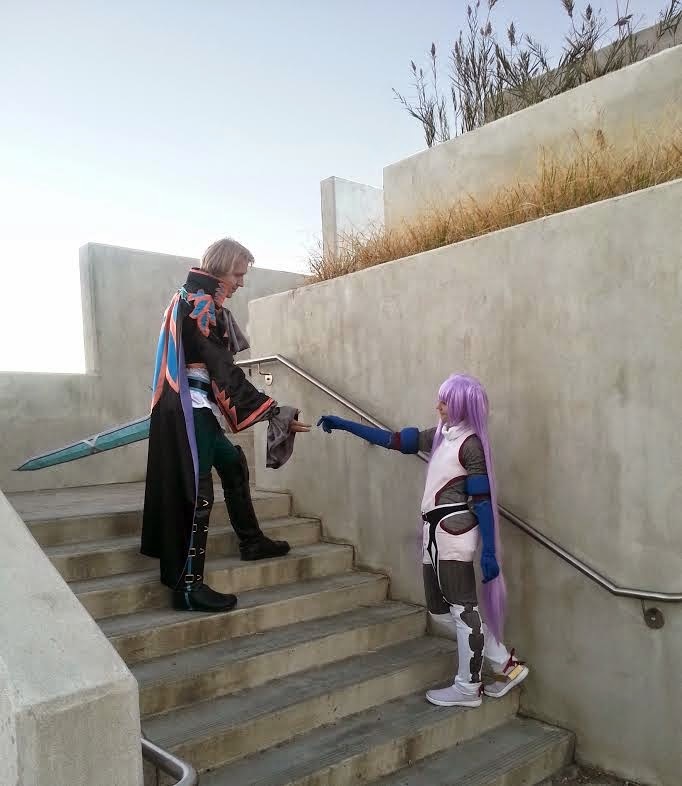 "I like cosplay because I have so much fun creating costumes and portraying characters that I love! John likes cosplay because it means we get to travel and make unique memories together. As a couple, we're always looking for new places to see, new things to experience and of course, new things to geek out over. Cosplaying at conventions is just the icing on the cake for all of those things!" Rachael is here as Sophie and her boyfriend Joseph is Richard from the Tales of Grace Video Game. These two are one of my favorite couples that I know personally. They are always so cheerful and are also so supportive of each other. This is always a classic pairing and I always love seeing Link and Zelda cosplayers! Link is cosplayed by Le Grenier D'illiane and Zelda is cosplayed by Yuli. It makes sense to have cosplayers featured on here from the country of love, France! I adore these two. Their cosplays are amazing! 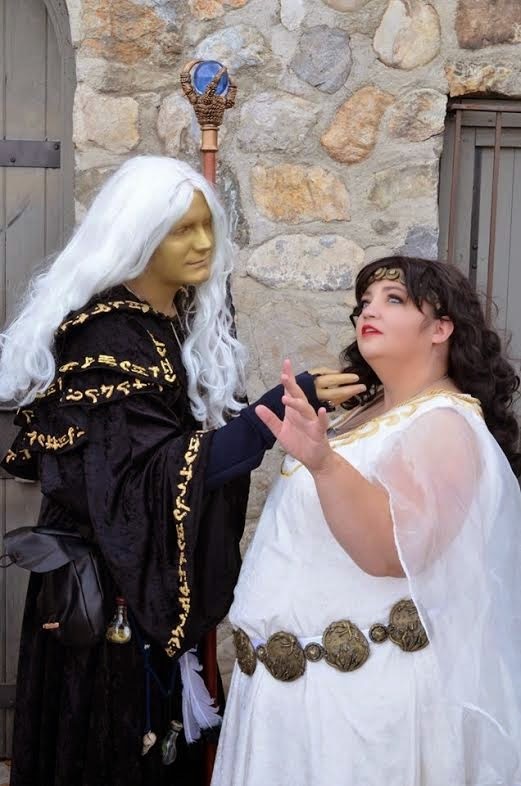 The dynamic duo from Goombah Squad is back again with another set of stellar cosplays... and probably my all time favorite fantasy paring from the Dragonlance series. Trena is priestess, Crysania, and Johny is Raistlin.